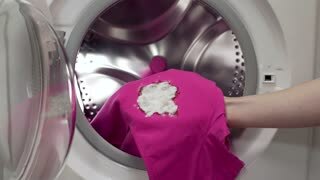 Search Results for "laundry washing machine"
Woman gets laundry from washing machine. In the frame are visible the ears of a black cat. 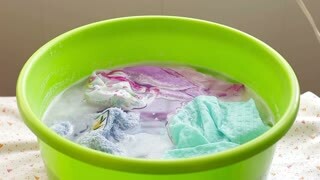 Laundry is washed in the washing machine, and clean things are on the basket nearby. 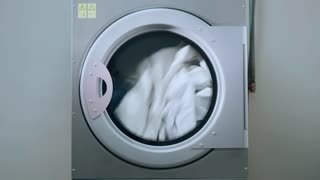 Female worker loading washing machine at hotel laundry. 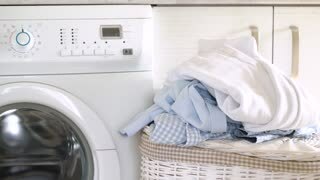 Woman working at industrial laundry service. 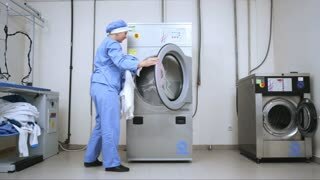 Employee loading laundry in industrial washer. 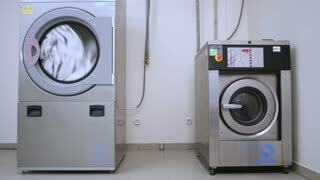 Commercial laundry room. 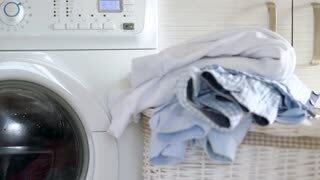 White laundry rotating in washing machine. 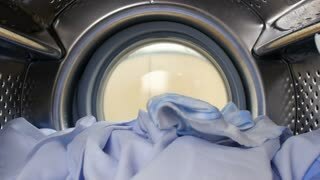 Video footage of fresh laundry spinning in washing machine. 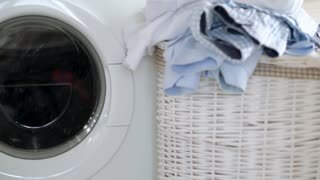 Woman loading the dirty laundry in the washing machine and close the lid of the drum. A woman presses a button on the control panel. 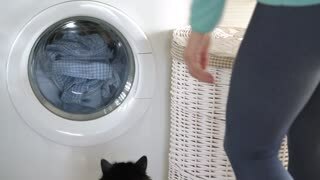 She is specifies a program of laundry washing and the washing machine starts to work. 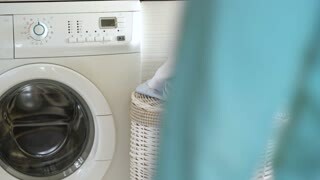 Man emptying laundry from washing machine in laundry room in 4k. 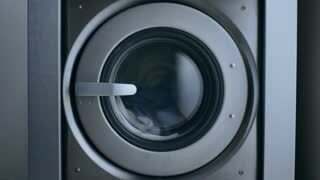 Close up at rotating laundry in washing machine. 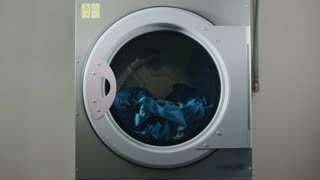 Video footage of rotating laundry. 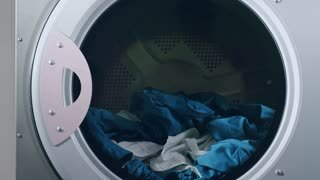 Fast spinning laundry in washing machine. 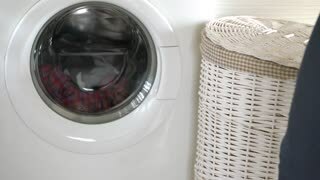 Video footage of rotating laundry. 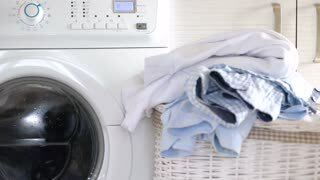 Woman Puts Mode and Turn on the Washing Machine in the Laundry Room. 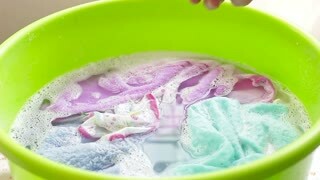 Wash in the Washing Machine. Close-Up. 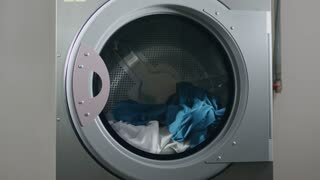 UNITED STATES 1960s: Man puts laundry in washing machine / Man pours liquid into machine. 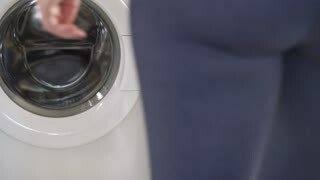 Man putting laundry in washing machine in 4k.